In this video, we are going to take a look at some working going on inside the Apex Welding fab shop. JD Brewer is the owner and he welds pipe, tanks, handrails, stairs, mezzanines, work platforms, and just about anything else. ...and when it makes sense, he fabricates in the shop...and then takes the assembly on site to install it...or make the final welds. Fabricating in the shop is not always possible. sometimes, its better to fabricate on site. today, JD has 6 ladders to build for some of the mezzanines and work platforms he has already built for a local injection molding factory. So He wants to make a fixture that can be used not only in his shop, but also on site. 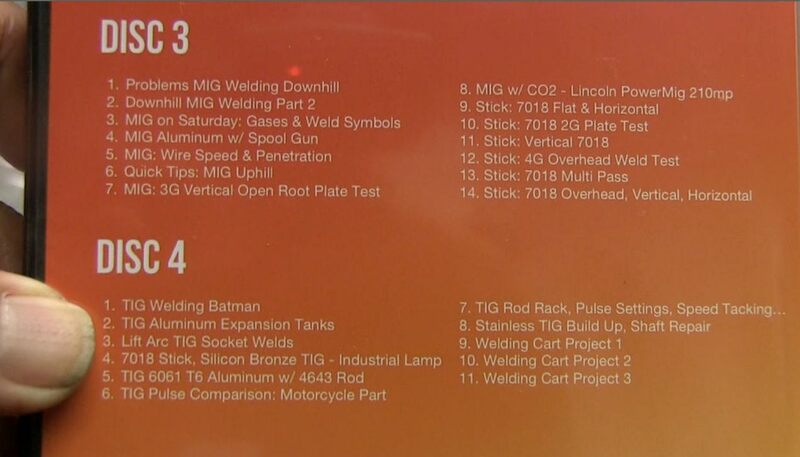 because tig brazing using silicon bronze distorts less than welding. Sometimes silicon bronze can surprise you with how strong it can be. other times, it will surprise you the other way. For thin wall round tubing like is used on bicycles, silicon bronze can work very well because a large fillet can be applied allowing for the braze fillet to be as strong or stronger than the tubing. This is due so size of the braze fillet since the tensile strength of silicon bronze is much lower than that of a steel tig rod like er70s2. But when the metal is fairly like and a small fillet is used, the braze will not be as strong as the base metal. When JD hits the test piece with a hammer, it absorbs one hit but comes apart on the second. 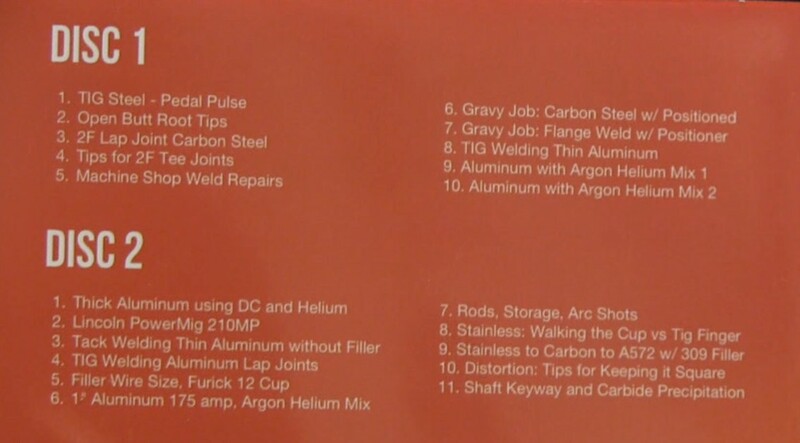 So why use Tig Brazing if it is not as strong? When you are building a temporary fixture ...or a prototype fixture, you are not always as concerned with strength as you are with the fixture maintaining straightness and dimensions. And for prototypes, sometimes you must grind welds and start over. Since Silicon bronze melts at around 1900f, as opposed to carbon steel which melts at around 2700f, it requires much less heat and distorts a lot less. Silicon bronze filler metal grinds much easier that carbon steel tig filler metal. So Tig Brazing does have its place in light duty fixtures, but the welder needs to realize that a part tig brazed using silicon bronze is usually not as strong as a weld. 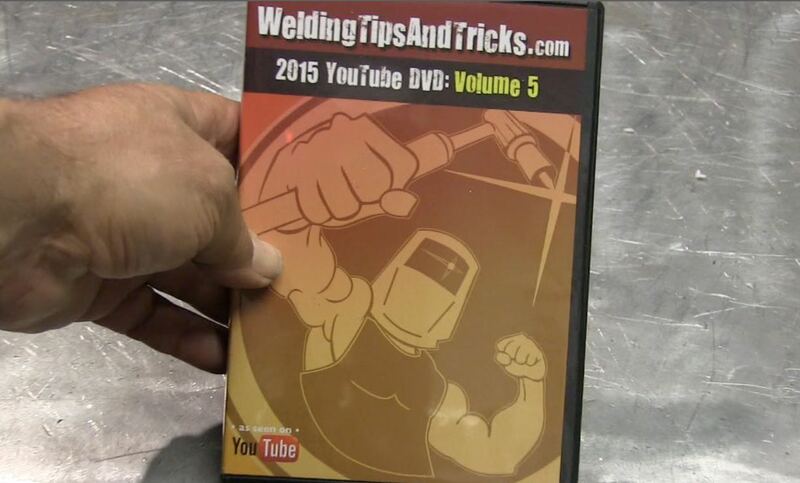 The 2015 DVD set is finally ready!